Everyone knows Scott loves fish, now he has taken to ponds and fountains. 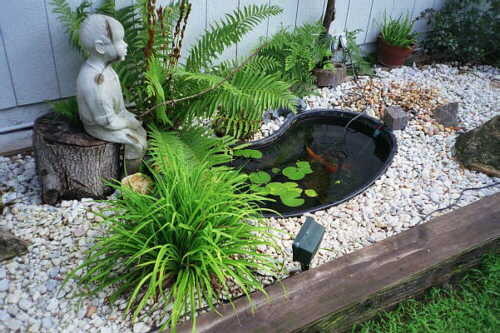 Here are few photos of his pond and others that he has encountered. Kaiserslautern has statues of Kio all over here are some I got photos of. This is the largest water garden in Europe. Check out the page devoted to these photos. Here are some fountains from our Florida trip in St Augustine (October 05). 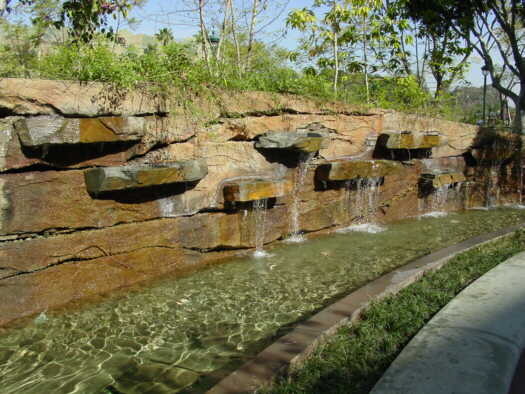 These fountains were at the Jacksonville Zoo in the Jaguar exhibit. A Fountain Scott found at Trail Dust Town Tucson Arizona (September 04). Here is a pond we saw in Germany (April 04). Germany was beautiful... just look at this pond view. There was no swimming or fishing but plenty of wildlife. A pair of ducks and a coot. 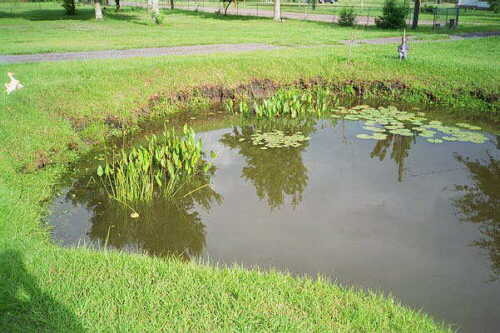 Scott's pond at the Azores has been updated for the last time. And don't forget the fish!!! As you can see we are limited here. These two were from Rainforest Cafe. This is us at a pond waterfall in the LA Zoo. 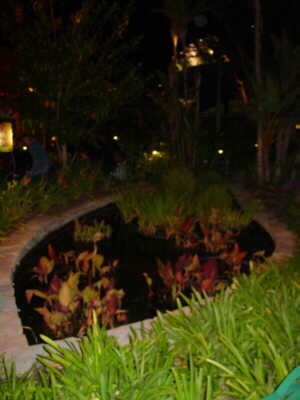 This is what Scott's pond looked like in California. 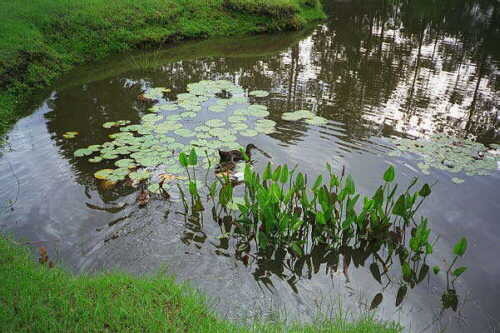 Scott's Dad's Pond in Florida (July 2002). And this is where Scott gets it from...his Dad. David at his pond in Florida. 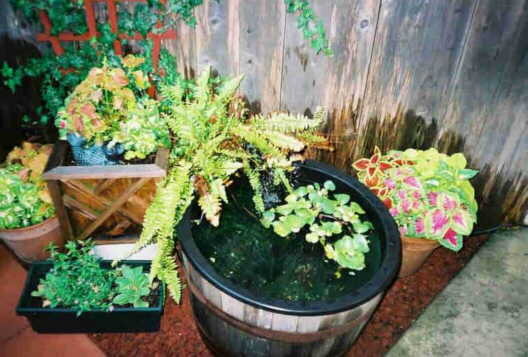 Photo updates to Dad's Pond (October 2003). He has added a bridge with a waterfall in the works. Here are some of his monster Koi fish. The one on the right is about 30 inches long. His three ducks add to the pond nicely. 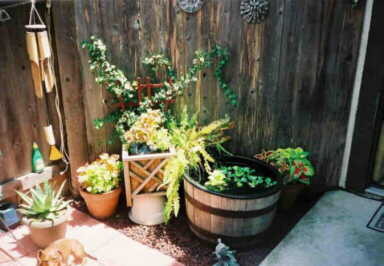 Photo updates to Dad's Pond (July 2004). Scott and His Dad started working on the waterfall while home. Although they didn't finish, there was not much left to do. 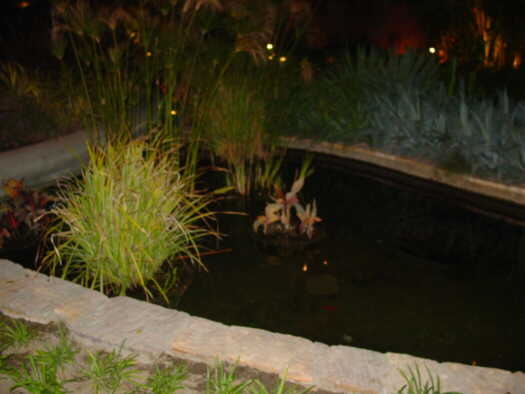 Photo updates to Dad's Pond (October 2005).